The Ultimate Adventure If You're Visiting Nashville, That Anyone Can Do! You’re probably searching the web for the most fun things to do and places to go. 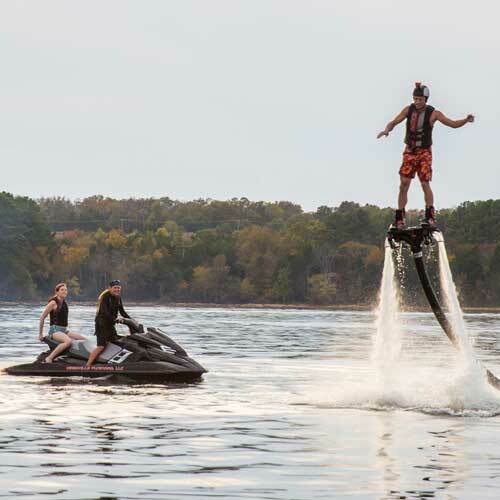 Well, we’ve got it for you at Nashville FlyBoard. 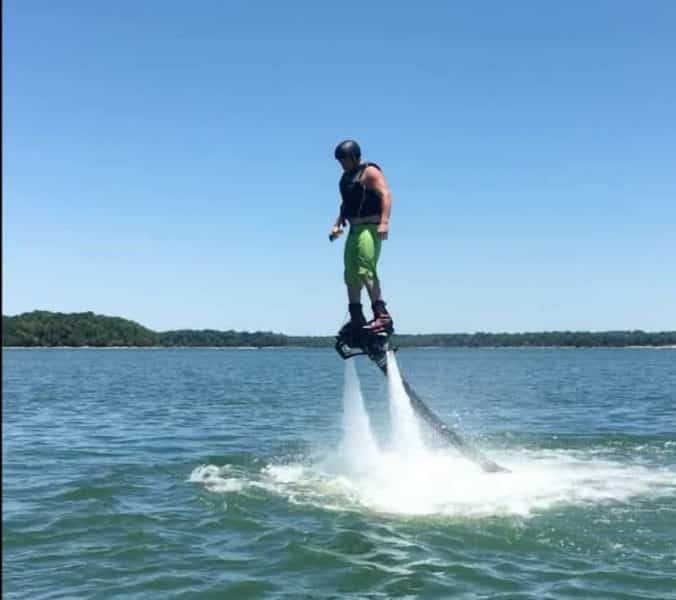 You can experience the Ultimate Adventure of FlyBoarding, what most people call the most fun thing they’ve ever done, at Nashville FlyBoard. Even if you have zero athletic ability whatsoever, you can do it! 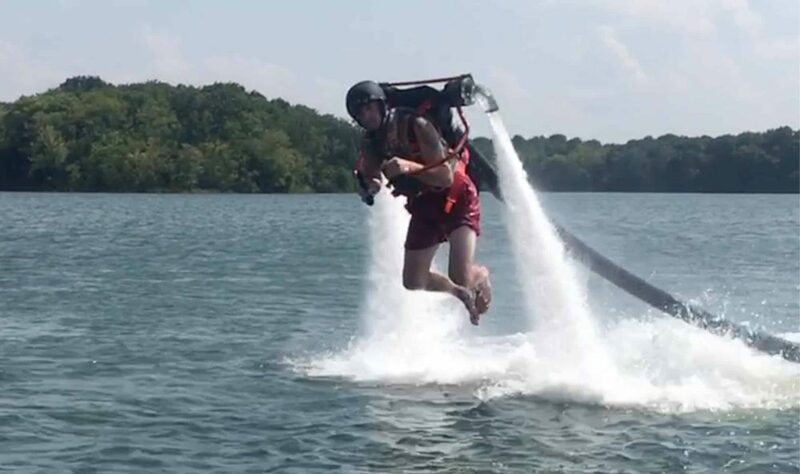 In fact, we’ll guarantee you’ll learn to FlyBoard, or you’ll get your money back. Visiting Nashville with a group? Even Better! We specialize in group and event rentals of all kinds. From Birthdays & Bachelor Parties, to Corporate Events, Family Trips, and more. You don’t have to have a boat, but if you do, we’ll meet out on the lake for a day of action packed fun like you’ve never experienced, and will leave you with a feeling you’ll never forget, Flying! 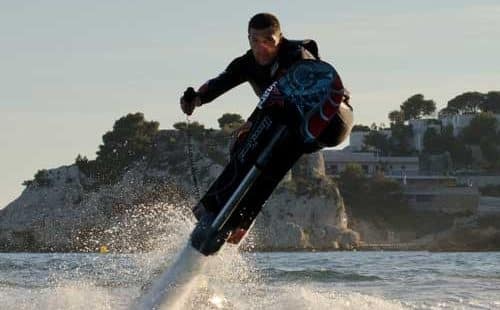 After a while, you’ll forget that you’re strapped into the boots, and feel like the FlyBoard® is part of you. Then, you’ll marvel at the fact that you are actually flying! 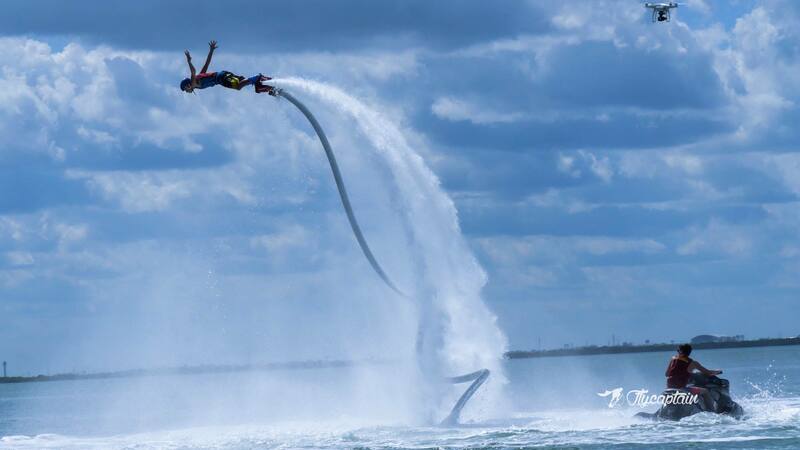 FlyBoarding is an amazing experience, and it’s much safer and easier than you might think after watching the videos. Our highly skilled instructors will have you flying in minutes. They will control the throttle to keep you low while you get your balance, and can usually let you down before you even fall! It’s a truly unique experience, one that people still aren’t totally aware is so easily accessible to them. Just give us call at (615) 580-9030, or reserve your spot online. You won’t regret it, and will have a great adventure to remember your visit to Nashville. it is so easy, and so fun. You’ll soar to new heights while you experience an amazing rush of power and adrenaline from something so new and unexpected. Hoverboard by ZR®. This one has a little more of a learning curve, but with our experienced instructors, we’ll be able to teach you the easiest and quickest way to get started. Once you’re up, you’re power surfing on the water. Lift your front knee, and up you go! The thrill you’ll get from the power and speed of the Hoverboard by ZR® is matched by nothing else! to the lake! We’ll show you a good time in Nashville like you’d never expect from Music City & the Country Music Capital of the world. There’s so much going on down on Broadway, with all the great music to hear and food you can eat – Don’t worry, you’ll have plenty of time to experience all that around every corner. 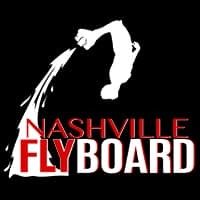 Just don’t regret not taking a 10-15 minute drive to try one of the fastest growing, highest flying, most epic adventures you’ll ever experience at Nashville FlyBoard!